Golfing pros know that lugging a heavy bag around isn’t exactly conducive to a great swing. Hence, their trusty caddies. But you don’t have to hire anyone to drive your golf game further. With the foldable Thomson E5000 Electric Golf Buggy, your automated caddie will roll with you at the push of a button. 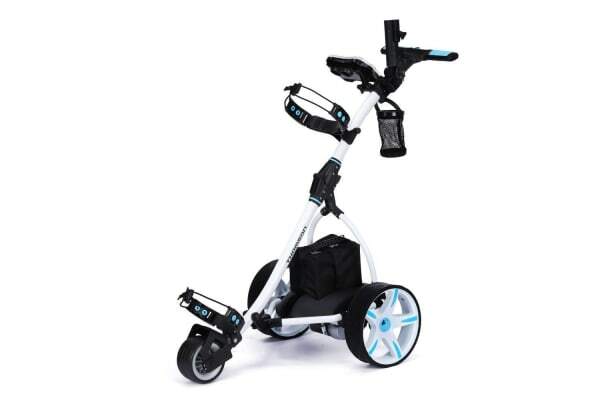 Transportation is easy thanks to it’s removable battery system and lightweight frame and collapsible design, and your bag attaches with ease with the universal easy clip system. 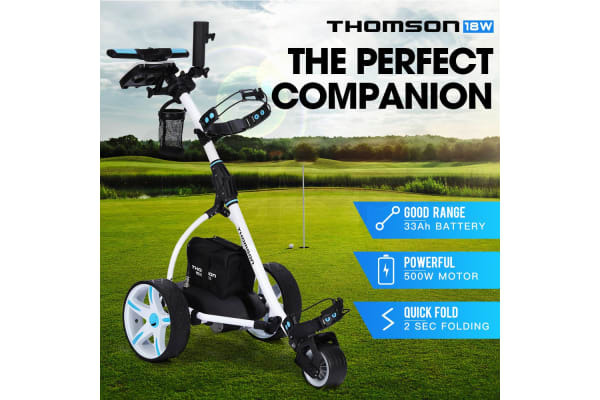 Boasting an advanced 500 watt electric motor and a durable 33Ah battery, the Thomson E5000 can last for up to 36 holes, and so 18 holes is a breeze, no matter what the terrain. 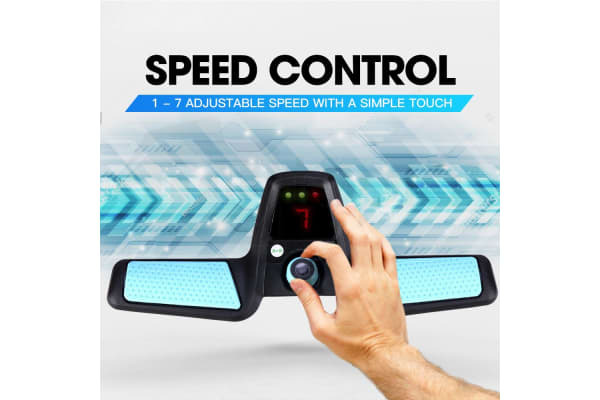 Its adjustable speed lets you choose up to 7 different speed settings to keep pace with you as you go. The Auto Distance function allows you to select between 10 meters, 20 meters, and 30 meters, and it’ll meet you there. Up your game while keeping the exertion down with its multitude of features. Keep the score with its integrated card holder, store balls and tees in the slide out storage compartment, cool down with a drink from the bottle holder or rest in the shade thanks to the umbrella holder. Thomson - Drive your game further.